This should be easy since I’m in the business of advising my clients all the time on tools they should be using to build online training. I’ve been in the training field for about 20 years as an instructor/trainer/instructional designer/LMS implementer/LMS/Administrator/speaker/facilitator/sales rep/service technician/support analyst. If it involves training and education I’ve done it. 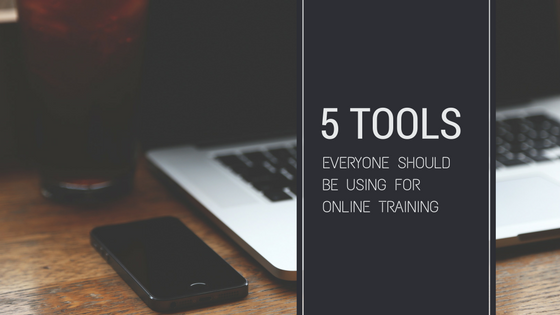 So, I figured I could list out some obvious and not so obvious tools that will help you build engaging online training courses that can educate and protect your business. After all, it’s no secret that well-trained employees are the core of any successful business. 1. Video – Super obvious, right? Video is the great equalizer. It allows you and your message to be consistently delivered to anyone at any time. It’s a duplicator or the closest thing we’ve come to it. It’s a great idea to tell all your employees how something should be done but if you can show them too it becomes a no brainer. We invest in expensive equipment, costly insurance policies, branding and marketing but what about the brand itself? The people you have representing you are the brand so make darn sure they know how to do their job. Showing them with video in addition to in person is the best and most cost-effective way to save money in the long run. The best thing about this is almost everyone is walking around with a great video camera on their smart phone and editing video has become so easy. Don’t pay high dollar productions costs when your employees care way more about the substance than the sizzle. 2. Images – I’m not talking cute little clip art pics but pictures of your business equipment, your employees and your surroundings. When employees log in to take an online training course and see pictures of fellow employees, equipment they recognize or facilities they work at, it tends to resonate so much more then general web based and often purchased at a high cost images. Why pay for images that can be photographed by you? 4. Quizzes & Assessments – Okay, this is an obvious one for me but I am always surprised how few people actually implement this into their e-learning materials. It’s doing a few things. Quizzes help you engage your audience in interactions to help drive home learning messages. It can also be a pause point for some quick reflection about the lesson you just taught all the while ensuring your audience isn’t just going through the motions, clicking next and moving to the exam. Lastly, those final exams are what helps you determine if lessons are being comprehended. They also help point out strengths and weaknesses in areas of expertise you want your audience to learn. Most LMS’s will give you statistics on which questions are being answered correctly, helping to identify strengths and weaknesses of your staff or learning audience. Use this information. If your target passing threshold of a question is 65% and your audience is only passing it at 30% there is an obviously glaring need to address the content of that question so the learners have a better chance at retaining that information. 5. Third party embed code sites. These are the websites you get to borrow pre-built material from. Why don’t people do this more often for standard training information? Someone has usually gone through the trouble and effort to build out the training material for you. Why not grab that material for free and use it and you focus on building what is your unique messages and lessons? I’m talking about sites like YouTube, Vimeo, SlideShare, SlideBoom, PowToon, JibJab, and Prezi. There’s tons of cool sites, this is just a shout out to the obvious ones. There you have it, 5 tools that will help you build a world class, fun and interactive learning experience without breaking the bank. Every one of these suggestions is a free way to help design engaging learning modules. The team here at Learning Zen got to thinking about the top reasons someone would want to be investing in online training. It’s kind of our business to know these things. We help so many diverse companies from Zoos and Aquariums to 1000+ unit franchisors, individual restaurants, non-profit associations, family fun centers and government agencies. Needless to say, we’ve learned a lot by helping a lot. 1. You have Multiple Locations. Let’s face it, you can’t be everywhere all the time but your message sure could be. 2. You struggle with Consistency. Okay this is a killer problem with most businesses whether you have multiple locations or just one. Training coming from different people tends to stress different points. One instructor might think profit is what needs to be focused on while another instructor believes profit comes from a superior customer experience. One concise message helps make it clear to everyone what your company message is. 3. Those darn Rating Sites are beating you up and giving you a bad reputation. If you want to be able to address problems being reported how nice would it be to point that person, or store, to training that is available right now to address those areas being reported as weaknesses. 4. Turnover is happening but you don’t know why. Look, all businesses deal with turnover but the ones that are the most successful get that way because they invest in their employees, the most valuable asset of any business. Investing in your employees helps empower them, they understand what they are supposed to do and how that is being measured. Everyone inherently wants to do a good job but not everyone knows what that means. 5. Profits are down. When profits dip there is almost always a cause and effect you can point to. The bottom line is to keep profits up you need to have a great product, with a good customer experience so people want to buy what you are selling. 6. Quality is dipping. Whether its food, craftsmanship or customer experience somebody needs to be making sure the quality has not changed and expectations of that level of quality remains high. 7. Hiring is tricky – Finding good quality candidates to hire is not easy. Teaching people how to hire right the first time is one of the best skills you can hand over to someone. Take the time to understand what are the qualities you want in your new hires. What can you work with and what can you absolutely not work with. 8. Your workplace needs to make sure you meet certain Safety and Compliance regulations. Training of safety and compliance isn’t an option it needs to be done. It keeps your employees and your patrons safe, happy and secure. One incident can cripple a business. 9. Company Policies are not being followed or enforced. Hand in hand with training is also the adherence to your specific company policies. Online training systems can manage these policies and protect you from unwanted frivolous law suits brought about from an employee against the employer. Protect your investment by tracking adherence to your policies so everyone is clear. 10. You don’t Trust your staff. This one is huge. At the end of the day employers need to be able to trust their staff or they would have to do everything themselves. No one has a true duplication machine that we’ve found to date so you can’t make more of yourself. You need employees that understand their job and how they are being measured, act professional and friendly. You need to trust that they are handling a customer or situation in a way you would be satisfied with. 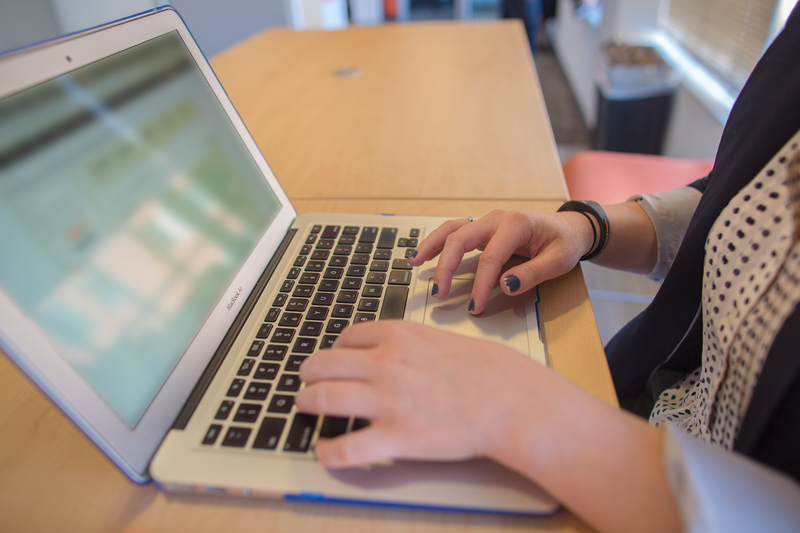 This list comprises 10 signs that you should be considering investing in online training. These aren’t the only reasons but these are all things that can be addressed with online training. Online training gives you the ability to put your message in front of your employees regardless of where they are located or whether you can be there. With video hosting being so affordable now your message can get to every employee, you can track that they are retaining the training and you can identify strengths and weaknesses. Investing in employees is worth every single penny. After all, they are the backbone of any product or service you are selling yet somehow training budgets always seem like the first thing slashed. If at the end of the day I know that I have well trained employees that I can trust, my business will succeed and my expectations will have been met. Edna vail on Train your staff…. for their good and yours! Sign up for a Free demo now!